Bosch Automotive Service Solution has now started offering it’s Power Max electric vehicle charging station which is the industries first level 2 stations that costs less than $450, and almost half the cost of other 240-volt EVSEs on the market. Formerly called SPX Service Solutions, Bosch Automotive Service Solutions has supplied more than 16,000 EV charging stations and had made more than 6,000 installations including the SPX Power Xpress. Bosch used its expertise and experience in home appliances and automotive solutions when designing the Bosh Power Max, which is UL-certified in both the US and Canada. Power Max has been built to work on all electric vehicles currently on the market, and comes in a 16 amp or 30 amp option. Features include no-touch operation by simply plugging in the vehicle and walking away. The charging unit has LED indicator for gauging charging status, and a hardwired on/off switch to completely cut power to the unit when not in use. Bosch has started taking orders and will start shipping in early June. 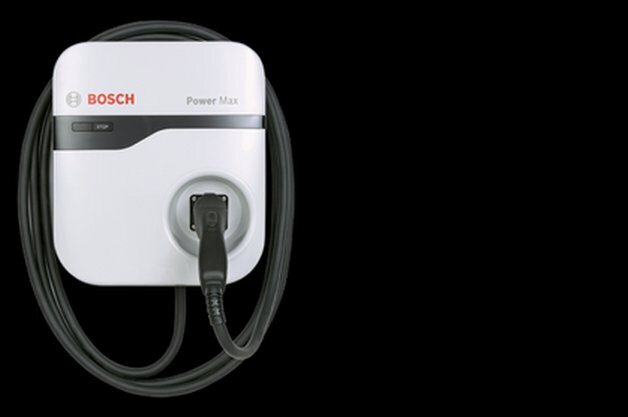 4 Comments on "Bosch PowerMax will be cheapest level 2 EV charger"
Does this charger have a variable rate charge available, or does it only charge at the higher 240v rate? IOW, are the 16 amp and 30 amp capabilities selectable anytime? 240VAC only. No 120VAC OPTION. The on board charger in the car and the ELSE must agree on a safe current before charging can start. Will it charge at a specific time? The rates are much cheaper at mid-night where I live and need to schedule it to charge from 12:00 am to 6:00 am. Can you convert the Bosch ev charger from being hard wired to being able to plug it in?